A chill in the air may send some vacationers to warmer climates, but snow lovers can think of only one thing: ski resorts. 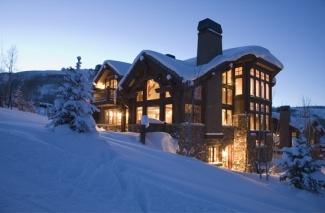 Most destination clubs have homes available at ski resorts. Here are some destination club picks for those longing for the slopes. With four mountains -- Aspen Mountain, Aspen Highland, Snowmass Mountain and Buttermilk Mountain -- this resort town offers endless skiing opportunities. This season, Aspen/Snowmass, the company that runs the resort, has invested $35 million in improvements, including added terrain on Aspen Highland and an Olympic-size halfpipe on Buttermilk. Aspen has long been known as a luxury, winter getaway, but the locale's destination clubs bring the experience to the next level. The Lusso Collection offers direct ski access at its sophisticated Aspen Thunderbowl lodge set at the base of Aspen Highlands -- a favorite of locals for its expert and adventure terrain. The four-bedroom, 4,506-square-foot home accommodates up to 10 guests, but the living room is the center of attention with a floor-to-ceiling fireplace and grand picture windows. Exquisite landscaping, including indigenous spruce, pine and aspens, compliment the lodge's stone and timber exterior. Solstice has two of its artisanal homes in the west end of Aspen, just a few blocks from downtown and the music tent. 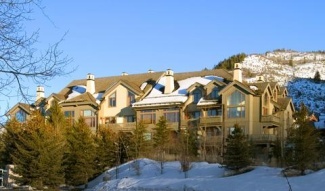 Other destination clubs including Quintess and Exclusive Resorts have homes in Aspen. Vail is the largest ski resort in the United States. The mountain offers three terrain parks, seven bowls and 5,289 acres of freeride terrain. On a slow day, expect to see only two skiers per acre, and only four on a busy day. Next door to Vail is Beaver Creek, and the resorts tongue-in-cheek motto of "Not exactly roughing it" gives you a good idea of what to expect both on the slopes and off. Quintess, LRW, is opening two new homes in Lionshead Village. The ski-in, ski-out homes in the newly redeveloped village are situated between Gore Creek and Vail Mountain, just 200 feet from the Eagle Bahn gondola. They are also convenient to a new high-speed chairlift in West Lionshead. Exclusive Resorts Vail's four-bedroom residencies offer access not only to the slopes, but also to the amenities of the Vail Cascade Resort and Spa. Exclusive members can also choose to stay in the clubs 3 bedroom residences at The Arabelle at Vail Square. Equity Estates 3 bedroom ski-in ski-out home is situated right by the Bachelor Gulch chairlift in Beaver Creek. Members can also use the spa at the nearby Ritz-Carlton. The spacious 6 bedroom home, belonging to Distinctive Holiday Homes in Beaver Creek, provides sleeping for up to 12. The residence has 3 lounge areas, a theater and a games room so members can truly entertain in style after an invigorating day on the slopes. Other destination clubs in Beaver Creek include Ultimate Escapes and Quintess. Jackson Hole, located in Teton, Wyoming, offers two mountains -- Apres Vous and Rendevous. There are 116 named trails with 2,500 acres of in-bounds terrain. Jackson Hole is a great option for families. Kids can age 6 months to 17 years can enjoy the Kids Ranch, which offers an educational skiing and snowboarding program called Wild West Woods. Ultimate Escape's Teton Village residences at the base of Jackson Hole Mountain Resort capture the famous locale's cowboy attitude with style. Less than a mile from Grand Teton National Park and 20 minutes outside the historic city of Jackson, the destination offers fishing, climbing, and biking, in addition to skiing. Downtown Jackson Hole and Teton Mountain Lodge are also UE residences. Other clubs with homes around Lake Tahoe include Exclusive Resorts, Quintess, Abercrombie & Kent and Lusso. Lake Tahoe offers seven ski resorts, boasting a combined 17,520 total skiable acres and 535 groomed trails. The lake straddles the state line, with two-thirds resting in California and one-third in Nevada. Distinctive Holiday Homes' Shoshone Court is a four-bedroom getaway that is as well suited for spending the day nestled by the stone fireplace as it is for hitting the slopes. The 3,700-square-foot lodge is in Squaw Valley and close to the resort village and ski lifts. In the house, you will find a preprogrammed i-Pod, XBox 360, high-speed internet, and other conveniences that make the residence perfect for a family getaway or a working vacation. Quintess offers condominium residences in Great Bear Lodge, at the base of Northstar in California. The four bedroom home is located in the heart of the resort village at Lake Tahoe Ski Resort, offering a private elevator and views of a skating rink. Other clubs with homes around Lake Tahoe include Ultimate Escapes, Exclusive Resorts and Lusso. In the French Alps, this ski resort offers 300 kilometers of marked trails, including great cross-country trails, and 81 ski lifts. Two hundred centimeters of natural snow are supplemented by 175 snow machines, ensuring the ground is always coated in fresh powder. Off the slopes, the charming village offers high-end shopping. The resort, opened in 1913, regularly hosts World Cup events. Members of Distinctive Holiday Homes can enjoy a rustic mountain lodge chalet in Les Mouilles in Megeve. Members can slip on their skis outside the front door and make their way to the chairlift 100 feet away. The home offers three bedrooms and three bathrooms, a sauna and a gourmet galley kitchen. Exclusive Resorts offers three homes also in Megeve in the French Alps, each boasting four bedrooms and 2,400 square feet of living space. Amongst the European focused destination clubs The Hideaways Club also has a home in Chamonix and Oyster Circle has homes in the Trois Vallees and also in Chamonix. For this winter the founding members at Botiga will have special access to homes in Verbier, Val D'Isere, Zermatt and Klosters. Homes in luxury ski resorts are popular with destination club members and all the major clubs offer homes in multiple locations. Some of the other ski resorts with club homes include Whistler, British Columbia, Deer Valley, Utah, and Copper Mountain and Telluride, Colorado.